1. Protect your work surface with a plastic table cover. 2. For best results, prewash and dry item to remove any finishes that may interfere with dye absorption. 3. Select your dye colors. One to three colors can be used. When using more than one color, it’s usually best to start with the lightest color. 4. When tie-dyeing with two or more colors, it’s best to put adjacent primary colors (red, yellow, blue) or secondary colors (orange, green, purple) next to each other. In the areas where they run together, they will create a third, great-looking color. 5. Shake all liquid dye cans before spray the dye. 6. Using scissors, carefully cut away the rubber bands. Wash garment in warm water with mild detergent. Rinse thoroughly in cool water. hang to dry. 7. Clean-up work surface and dye utensils using soap and bleach or cleanser. 1. Tie-dye describes a pattern of color made by preventing the dye from reaching some areas of the fabric by using tight ties of rubber bands, sinew, string, etc., while dyeing others. 2. 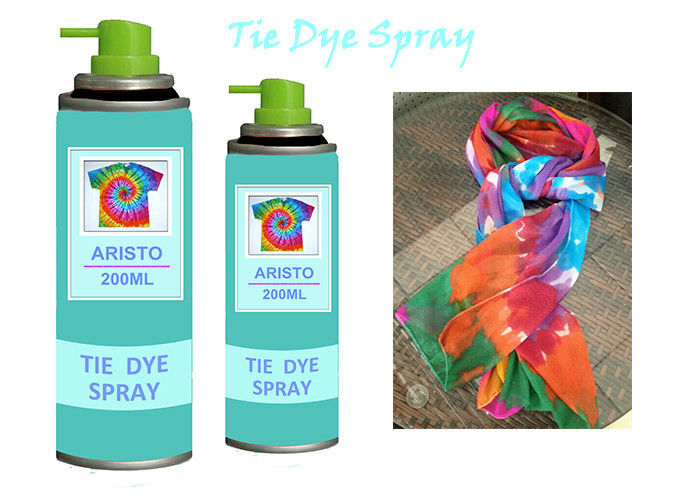 Tie Dye Ink Spray is different from traditional tie dye, which can be used directly. 3. Don't need to make large buckets full of dye, and do not dip the fabric into the dye. Don't need to add water mixing pigments. 4. 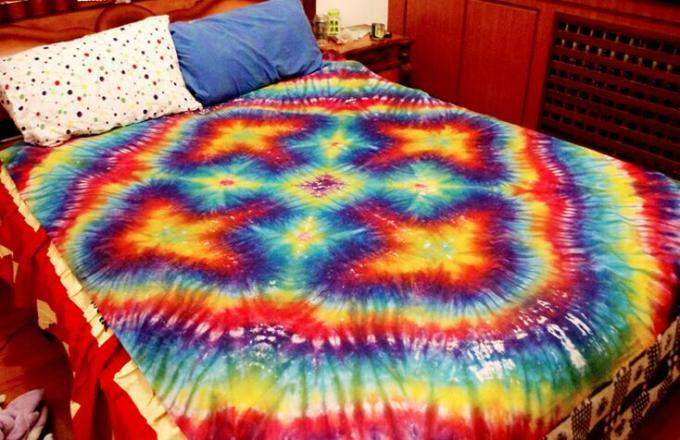 You just need press the nozzel of tie dye spray. Fun, easy, plus your own colorful expression, you can't beat it. 2. One universal coating for diverse substrates. 3. Ultimate flexibility for extreme applications. 4. Maximum adhesion for demanding substrates. 6. Fade and chip resistant.